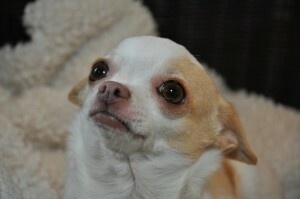 What does it mean to surrender your dog to BC Chihuahua Rescue (BCCR)? It means you can no longer care or provide for the dog(s) you are surrendering, and you are looking for a placement home. Please note, everyone who surrenders a dog(s) to BCCR, must sign a surrender form. By signing this form, you give up all rights of the dog(s) and give full ownership of them to BCCR. (Please note that we presently cannot accept severe aggression cases due to limited resources). Your dog will be placed in a loving foster home. All our volunteers have been given a home check and had references checked before they have become foster parents for us. In the history of this rescue we have never had any foster parent complaints. You will be assured the dog you surrendered will be given all the love, hugs, pets and kisses as foster parents give their own dogs. The dog(s) will also receive a medical examination and given shots as needed and or spayed/neutered. If there are any health issues, including dental needs and surgeries they are also treated. The foster parent will then assess the dog(s), i.e., personality, how they get along with children, dogs, cats, walk on a leash, food habits, etc . The assessment will assist in placing the dog in the right forever home. Once the dog is ready for placement, we post ads on the BCCR website and Petfinder.com and start the process of fitting the best applicant to the dog. The applicants will have references checked and also a home visit. They must meet all the requirements for each dog(s) assessment before we allow them to adopt any BCCR dog. As noted, we are very picky and each dog is treated lovingly as our own. Does the foster parent get paid? No. Our foster parents (families) volunteer their time, homes and hearts. Will my surrendered dog(s) be placed in a cage? No, never! Foster dogs will be interacting in a home environment with their foster families and other family pets. They are loved and cherished as any other family member. Can I come visit my dog(s) to see how it is doing? No. That is too hard on your dog. When you signed the surrender form you gave up all rights to your dog(s). Can I write to see how my dog is doing? Yes, of course! You may stay in contact with the BCCR and we’d be happy to give you occasional updates. Have more questions? Write us anytime. We’re here to help.